Not everything in sequence is recorded but M.A. 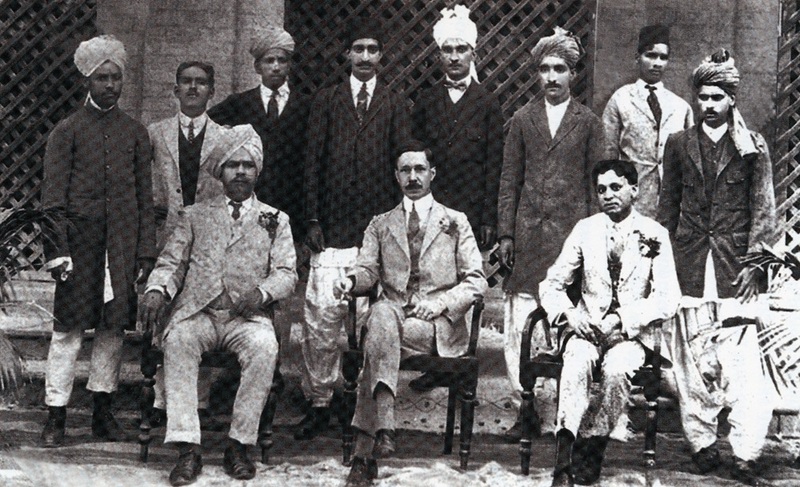 Rahman Chughtai passed his Secondary Certificate Examination from the Railway Technical School Lahore in 1911. In 1913 he was married to Wazeer un nisa Begum, a relative of his family. In this period he was also experimenting with professions. Because of the death of his father in 1913, and no other possibility of earning, the three brothers opened a Fire wood shop inside Yakki Gate Lahore. Master Miran Baksh cajoled M. A. Rahman Chughtai in completing his education and the artist enlisted at Mayo School of Arts to learn photo lithography. This was related to his profession of photography, making portraits of well known people at that time. His desire to illuminate cards and books and facilitate publishing as a designer. After taking the two year course of Photo lithography, he enlisted in the department itself as a teacher. He was soon heading the department itself, for Master Feroze uddin was perhaps promoted to other ranks. 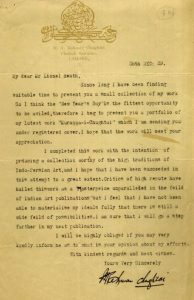 In 1915 he was certainly part of the staff of Mayo School of Arts. He was sent to Gujranwala Mission School on deputation. From there he returned, to be able to teach in Lahore. He was sent as a Drawing Master to Government Education College, Lahore. Then back to school. That is when he went on a Sick leave. There were those who envied him on his rise and his success. When on sick leave, colleagues reported to Lionel Heath, that M.A. Rahman Chughtai was malingering and was seen watching a Drama at a theater in Bhatti Gate, the very night. Lionel Heath summoned Chughtai for an explanation. He said an honourable man had seen you at a drama yesterday while you were on sick leave. This perturbed Chughtai so much, that he immediately retorted to the Principle of Mayo School, that whereas an honourable man had reported he was at a theater that night, that meant that he himself had no honour. Lionel Heath was surprised all the more when this young man tendered his resignation in front of the strong English administrator. 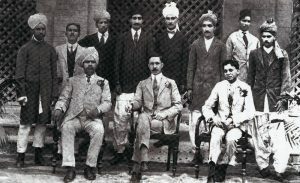 The surprised Lionel Heath requested that Chughtai should not leave the school as he had the potential to become the Principal one day. But of no avail to the artist, who had felt slighted by the accusation. Strangely the principal ship of Mayo School of Arts was offered to Chughtai three times in his later life but he never accepted, and a fact that he never walked inside the Mayo School of Arts ever again. Lionel Heath had written well of the artist in the 1924 Wembley Show and later on kept in touch with his progress in the art world. A letter written by MARC s in the archives of NCA. 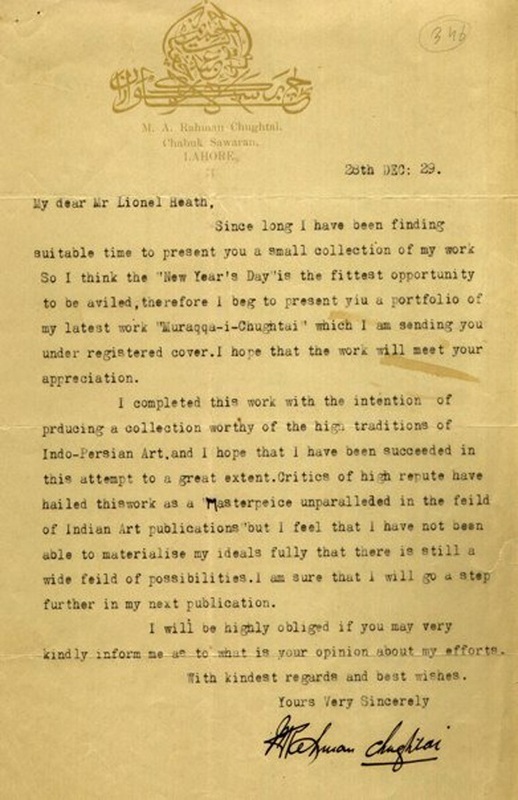 It seems that the artist sent a copy of Murraqqa Chughtai to Lionel Heath in 1929. Interesting record of an event noticed by art history. A mistake in date. Married Wazeer un nisa in 1911. MARC and Mayo School of Arts were at odds with each other for the ideologues were different. Even today in this world NCA carries the heritage of Mayo School of Arts. MARC carried the Ideology of Pakistan. For some who may not recognize MARC is on extreme right in a PAGG (turban) and Shalwar at 18 years of age.